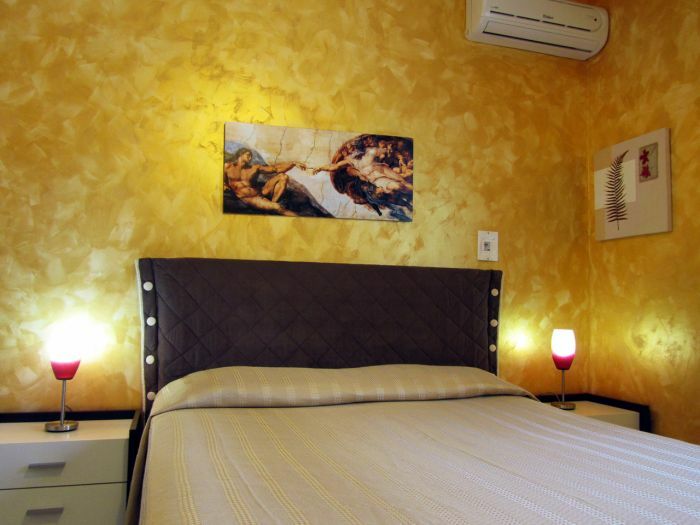 Oceano & Mare is a charming bed and breakfast located in the beach zone of Agrigento (San Leone) a few steps away from golden sandy beaches of San Leone’s Lido, near the Valley of the Temples and the Archaeological Museum. The ideal place to spend a relaxing holiday immersed in nature with a splendid sea view, away from traffic and city noise. 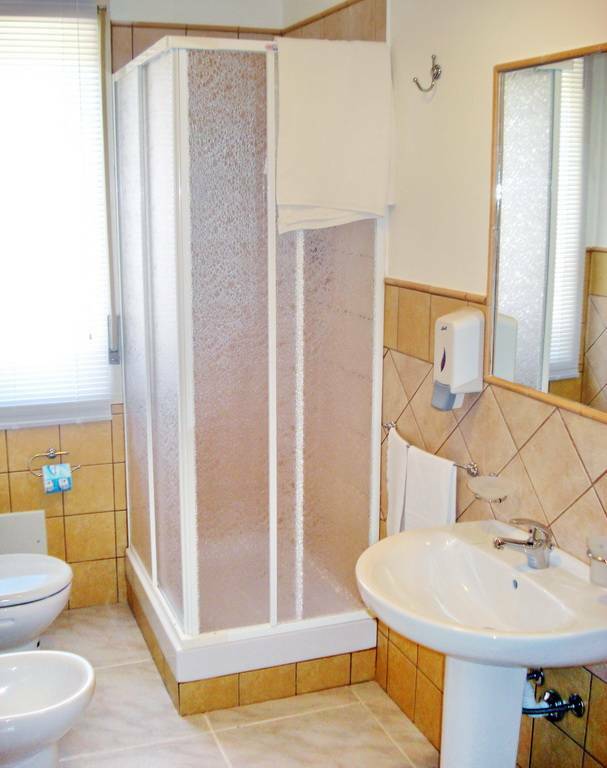 The Oceano&Mare Bed & Breakfast offers comfortables rooms with private bathroom, shower and toilet, air conditioning hot / cold, TV Sat, safe, frigobar, WiFi and all the necessary amenities for a perfect holiday. 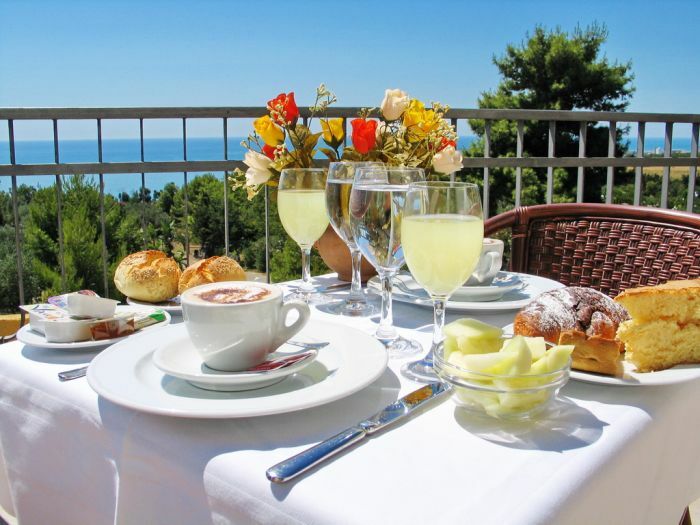 The Breakfast is served in a room that has a wonderful sea view over the Mediterranean sea. It is the ideal place and location for cultural excursions or visiting other parts of Sicily and spending relaxing days at the seaside resort of San Leone. For the sea lovers, it is possible to book a tour of the coast during the summer months by boat. The tour embrases the coast of Porto Empedocle, the famous Scala dei Turchi in Realmonte, the cliff of Punta Grande, the natural reserve protected by the WWF of Torre Salsa to arrive at the beach of Bova Marina. One can also reserve lunch at a seafront restaurant in Siculiana Marina beach. 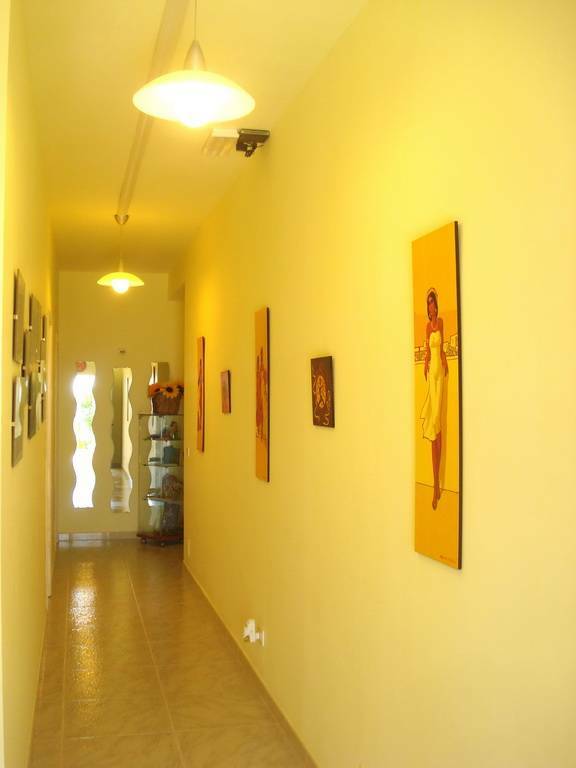 Rooms, comfortable, spacious, private bathroom with shower and toilet, air conditioning hot / cold, satellite TV, free internet WiFi, frigobar, safe and all the necessary amenities for a perfect holiday. Oceano&Mare is located on via Caterina d'Altavilla, in the beach zone of San Leone (Agrigento) within 3 km of the Valley of the Temples, with its majestic temples and the beautiful archaeological museum and at only 9 km from the center of the city (railway station of Agrigento) , while only 1 km away you will find yourselves in the heart of San Leone , a famous tourist center. A good restaurant to eat fish, pizza and sicilian kitchen. Elegant Restaurant where is possible taste tipical Sicilian dish and international speciality. Take the highway A29 (Palermo - Mazzara del Vallo), exit to Castelvetrano and take the S. S. 115 to Agrigento. After Porto Empedocle, follow the direction to Caltanissetta, Siracusa, Palermo until to reach (after 3, 5 km) la S. S. 640. Reach the Valley of the Temples (big roundabout Giunone) after take the direction to Licata, until to reach, after 300mt to a traffic light. Turn right and follow this road (via Cavaleri Magazzeni) (S. P. 71) for 2. 8 km then take the righthand branch of the Y where via Degli Imperatori starts. Follow this street for just under 1 km and turn right onto via Caterina d'Altavilla, a small street heading towards the sea. The B&B is at number 35, at the foot of the street. Take the highway A19 (Catania - Palermo), exit to Caltanissetta and follow the S. S. 640 to Agrigento. Proceed toward the Valley of the Temples and when reaching the roundabout where SS640 and SS115 meet exit on SS115 in the direction of Siracusa, then immediatly taking the first right on exiting the roundabout. Follow this road (via Cavaleri Magazzeni) for 2. 8 km then take the righthand branch of the Y where via Degli Imperatori starts. Follow this street for just under 1 km and turn right onto via Caterina d'Altavilla, a small street heading towards the sea. The B&B is at number 35, at the foot of the street. Proceed south from Via Giuseppe Garibaldi on Via Castellammare. Slight left at First Street in September. Turn right at Viale San Martino. Turn left at Via Tommaso Cannizzaro. Turn right at E45/E90/Via Giuseppe La Farina. Turn right at E45/E90/Viale Europe. Go through 1 roundabout. Take the ramp onto A20. Keep left at the fork, follow signs for Catania / Messina Sud / Tremestieri / Messina / San Filippo / Gazzi and joined the A20. Continue on A18/E45 (signposted A18/Catania). Continue on E45. Partial toll road. Take the exit toward A19/E932 Palermo. Take the exit to Caltanissetta. Log in A19. Continue on SS640 (signposted Caltanissetta). At the roundabout, take the exit for the fifth SS115/Strada State fast-flowing East Sicula. Turn right at Via Cavaleri Magazzeni/SP71 (via Captain Alfredo). Slight right at Via the Emperors. Turn right at Via Caterina d'Altavilla. The B & B is located down the street in front of the charming street of Dune, at number 35. 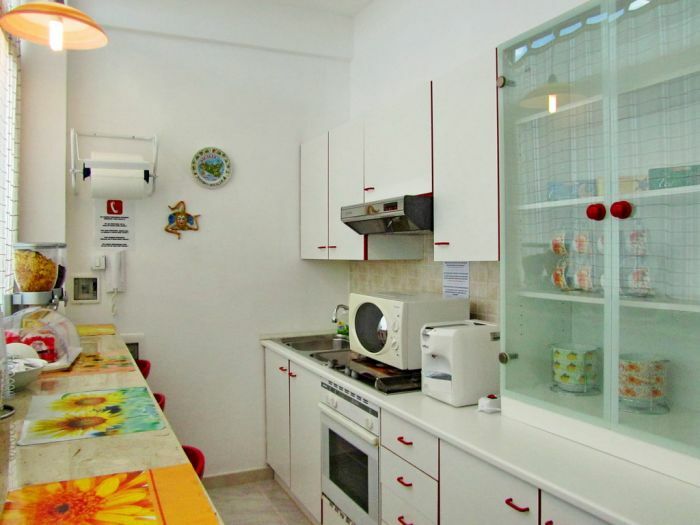 Oceano&Mare is located 170 km from Palermo - Falcone Borsellino airport and 180 km from Catania - Fontanarossa airport. We suggest you to rent a car from either airport to conveniently reach the B&B. Follow the instructions in 'By car' paragraph. Agrigento can be reached from Palermo (about 2 hours) and from Catania (about 3 hours). From Agrigento railway station it is approximately 9 km to the house. The bus no. 2, runs every 30 minutes to the beach area of San Leone, a trip of about 10 minutes. The route is a loop which passes the turn to via Caterina d'Altavilla from via Degli Imperatori. (departures every 30 minutes). Once you arrive at Agrigento (central railway or bus station) please call us: we will come to pick you up. 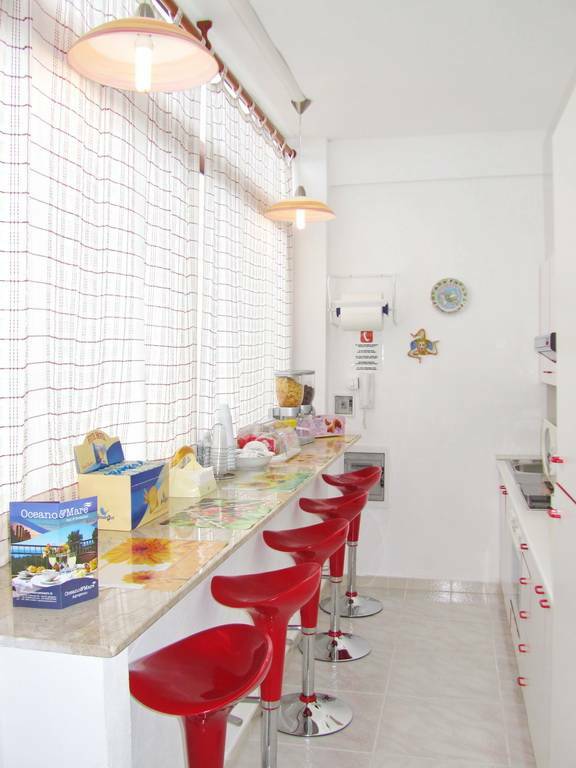 Nearest airport: Oceano&Mare is located 170 km from Palermo - Falcone Borsellino airport and 180 km from Catania - Fontanarossa airport. We suggest you to rent a car from either airport to conveniently reach the B&B.